Explanation: Astronomers divide stars into different spectral types. 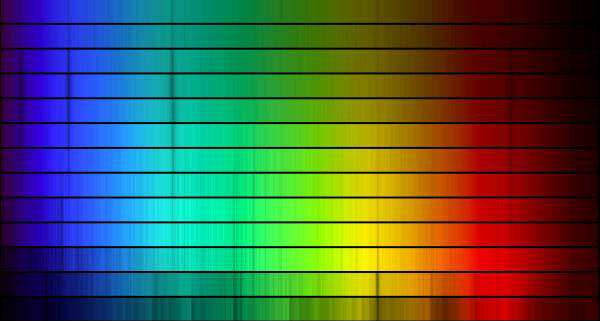 First started in the 1800s, the spectral type was originally meant to classify the strength of hydrogen absorption lines. A few types that best describe the temperature of the star remain in use today. 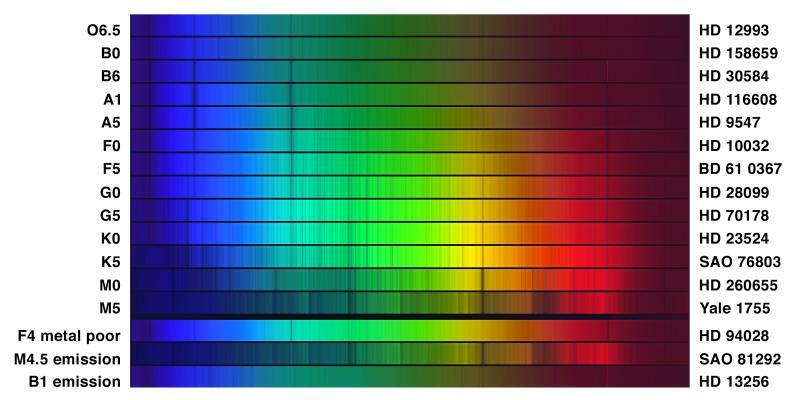 The seven main spectral types OBAFGKM are shown above with the spectrum of a single "O" star at the top followed by two spectra each from the progressively cooler designations, respectively. Historically, these letters have been remembered with the mnemonic "Oh Be A Fine Girl/Guy Kiss Me." Frequent classroom contests, however, have come up with other more/less politically correct mnemonics such as "Oven Baked Apples From Grandpa's/Grandma's Kitchen. Mmmm." Our Sun has spectral type "G".